One lane has been closed on the northbound M6 due to a "medical incident" say police. 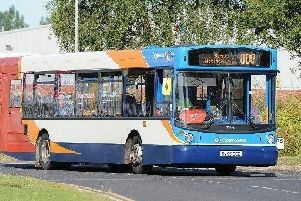 The incident happened between junctions 27 and 28 near Leyland shortly before 11am. All traffic was held temporarily while emergency services attended. Two lanes were re-opened shortly after with one lane remaining closed. A spokesman for Highways England said: "A lorry driver became unwell and pulled-up onto the hard shoulder. "The driver has since been taken to hospital but one lane closure will remain in place while the lorry is recovered. "The lorry will be recovered shortly."